A 12-year-old girl from the African country of Gambia came to America for a life saving treatment. 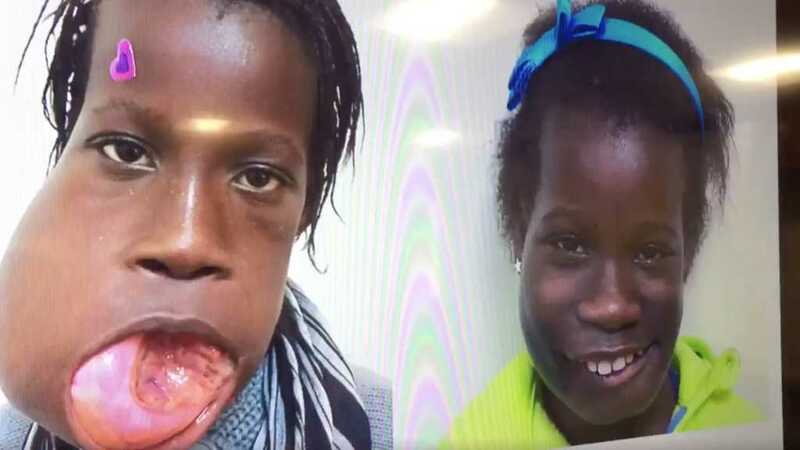 Janet Silva had a six pound tumor on the left side of her face when she arrived in the United States in January because her family was unable to get her the necessary medical treatment in their home country of Gambia or the neighboring nation of Senegal. So after international pleas were issued by her West African medical team, a New York based children’s hospital believed they could help Silva once they saw her and her case. To Fund Janet’s trip and necessary 12-hour surgery to remove the tumor, Global Medical Relief stepped in, so both Janet and her mother, Phillomena could come to the United States. Her surgery was first preformed virtually, so the tumor could be seen on a computer and then the 50 person member team went in and got to work. First they removed Janet’s jaw so they could take out the tumor. Then, they were ready to attach the jaw back on. To do so, they had to have it reconstructed with the child’s lower leg bone. Now almost eight weeks later, she’s able to talk and eat like a regular girl for the first time in a very long time. The surgery also allowed the young girl to be herself again. Next week Janet will return to Africa and she is very excited about hanging out with friends and returning to school.